Buying a new house in Keller is an exciting time in your life. Because it is one of the most important investments you’ll make for yourself and your family, there are many important factors to consider. Before making a purchase, take these four questions into account. Having the answers will allow you to enjoy your new Keller home now and in the years ahead. 1. What are you looking for in decor. Your home can be a reflection of your personality and can be an extension of your lifestyle. 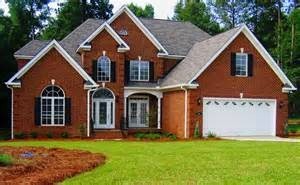 When buying or designing a new house, contemplate its curb appeal. First impressions matter, so it’s important to consider architectural style, exterior and details like trim and landscaping. How much of a yard do you want? Do you want a swimming pool? 2. Is your home protected from environmental elements? With North Texas and its unpredictable climate, extreme weather is relatively rare but does occur from time to time. In DFW, the primary concerns are tornado's, heavy winds, thundershowers and occasional hail storms. Select siding and trim products that help protect your home. Consider your options carefully. Vinyl siding can melt and wood is susceptible to rot. It is important that your house has the makeup for weather conditions in your area and that you have a plan for severe weather. 3. Is your new home built using sustainable products? Green building is popular these days, in part because an energy-efficient home can save a homeowner money on heating and cooling bills. By choosing a home clad in 100 percent sustainable and efficient material, you're consuming less energy and reducing your environmental footprint. 4. What maintenance will your new home require? Selecting or buying a home made with low-maintenance building materials can lower the chances of large ticket home repairs, or prevent them altogether. Wood siding and trim requires frequent repainting or replacement, and vinyl may warp, melt or fade. Considering durable and longer-lasting fiber cement siding can minimize the need for repairs.